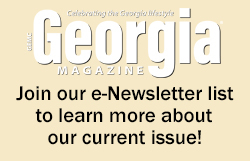 Each month in Georgia Magazine you'll find feature articles about Georgia's people, places and events. Our regular columns include Calendar of events listings; My Georgia stories and Snapshot photos, submitted by our readers; news from Georgia's electric co-ops; monthly contests; and gardening and cooking articles. Subscriptions to Georgia Magazine are $10 for one year (12 issues) OR $16 for two years (24 issues). Gift subscriptions for one or two years are also available to Georgia Magazine. Click here for a subscription form. 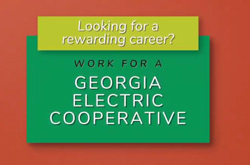 Many of Georgia’s electric cooperatives use Georgia Magazine to communicate important cooperative information to their member-consumers. Please contact your local EMC to inquire about being added to their Georgia Magazine mailing list. If you receive the magazine through your local EMC, please write or call that office directly. Georgia Magazine Address Change P.O. Box 1707, Tucker, GA 30085-1707.